James Philemon Holcombe (1820-73), Confederate Congress, Virginia. He planed St. Albans Vermont Raid. 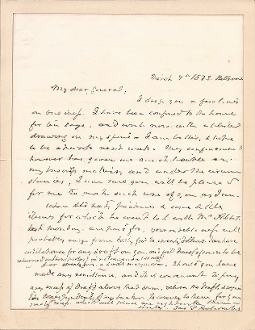 Autograph Letter Signed (ALS), 5/7/1873 to an unknown general pertaining to being confined to home, bank draft, etc.